Paul Nehlen, who is running again to unseat Speaker of the House Paul Ryan in Wisconsin, told Breitbart radio host Curt Schilling today that he is using his campaign and fiery social media presence to force discourse in the Republican Party further to the right—in his case, toward the white nationalist worldview of the alt-right. 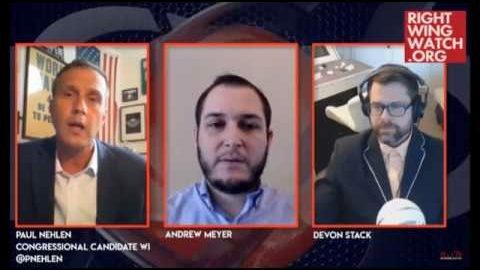 This morning, Nehlen joined Schilling to talk about campaigning for failed Alabama Republican Senate candidate Roy Moore in Alabama and his upcoming 2018 campaign in Wisconsin. Over the past year, Nehlen has been working diligently, with the help of former White House strategist and Breitbart executive Steve Bannon, to shift the “Overton Window” to the extreme right. The Overton Window refers to what the public considers acceptable political discourse and policy at any given moment and how conservative or liberal politicians can be and still win elections. The Overton Window is frequently discussed by members of the alt-right, who believe their current mission, rather than directly impacting national policy, is to push the Overton Window further to the extreme right in order to sanitize white nationalist ideologies. 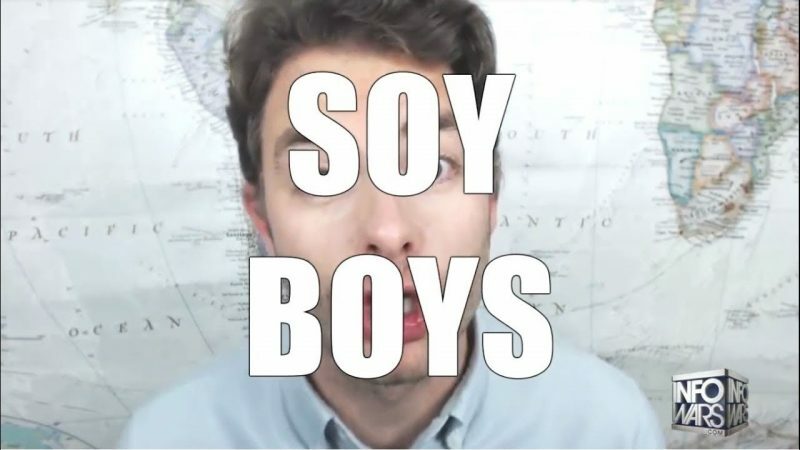 Last week, as first documented by the blog Angry White Men, Nehlen appeared on and praised the hosts of “Fash the Nation,” an anti-Semitic podcast popular in alt-right circles, and celebrated that “the red pills are being shot at people like with bump fire stocks.”(Taking a “red pill,” a reference to a scene in the sci-fi film “The Matrix,” is alt-right shorthand for embracing the movement’s views and bump stocks are the type of weapon modification that enabled the mass shooter in Las Vegas to achieve near-automatic fire). 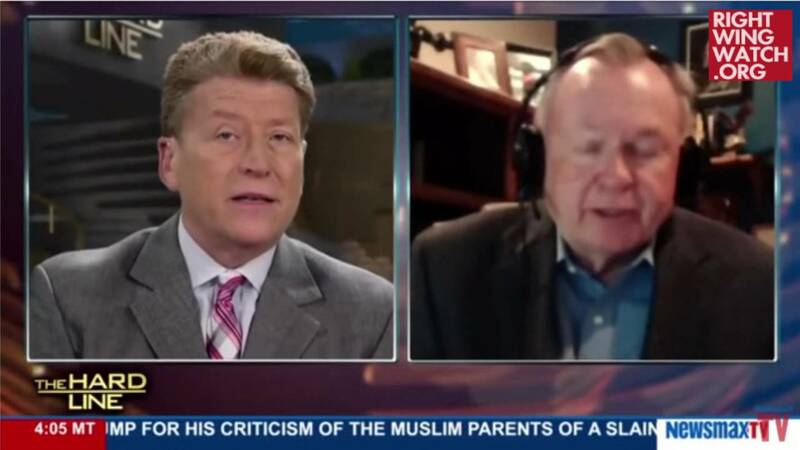 Nehlen also appeared on “Fash the Nation” last year, calling for an end to birthright citizenship. 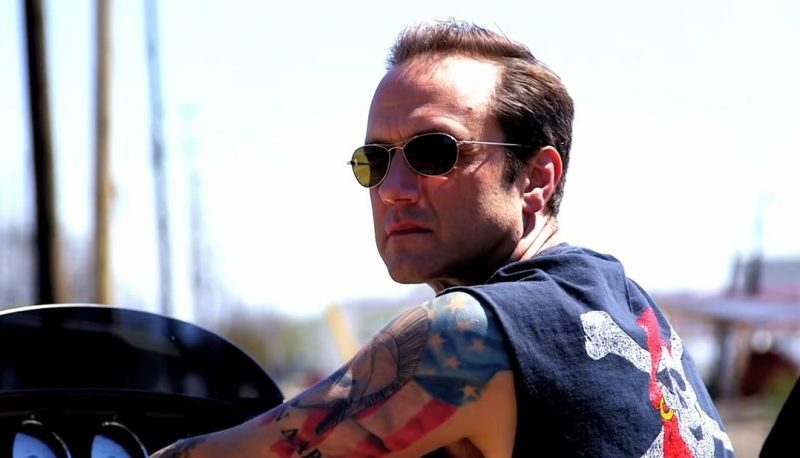 Recently, Nehlen has pushed even harder to the right and dropped any attempt to conceal his affiliations with the furthest fringes of the Right. 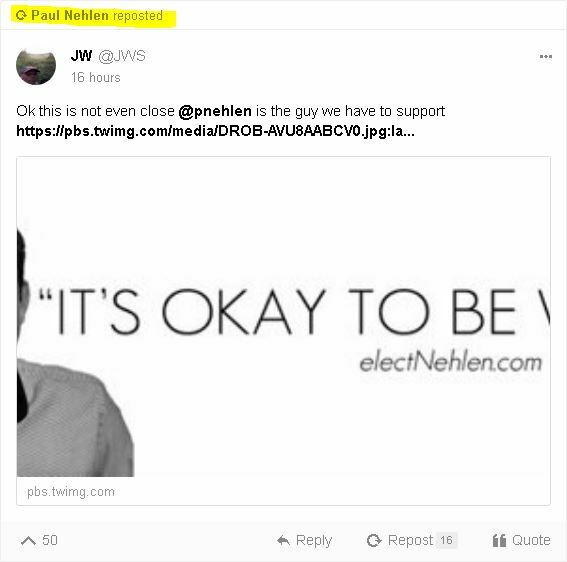 Users that view his profile on Gab, a Twitter alternative beloved by the alt-right for its almost nonexistent community guidelines, will find him sharing alt-right memes, including one that pays homage to the “It’s Okay To Be White” campaign that was devised by white nationalists who were trying demonstrate a supposed anti-white bias among liberals. 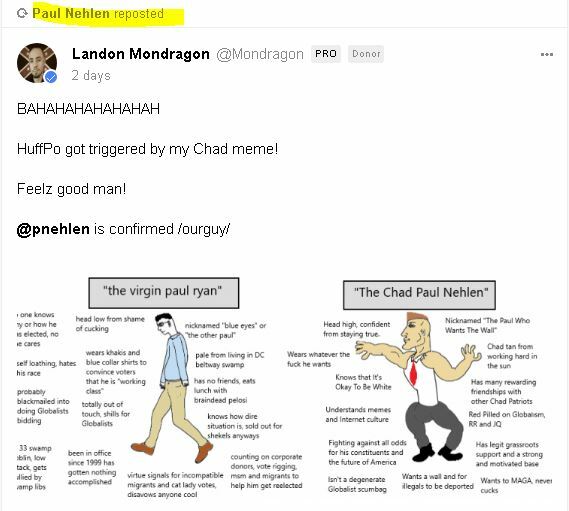 Nehlen also posted a rendition of himself as a “Groyper,” the alt-right’s newest beloved cartoon frog, on Twitter. Nehlen’s full public embrace of his white nationalist sympathies took place as news began to spread that Speaker Ryan is considering stepping down at the end of his current term, leaving an empty seat for Nehlen to vie for. 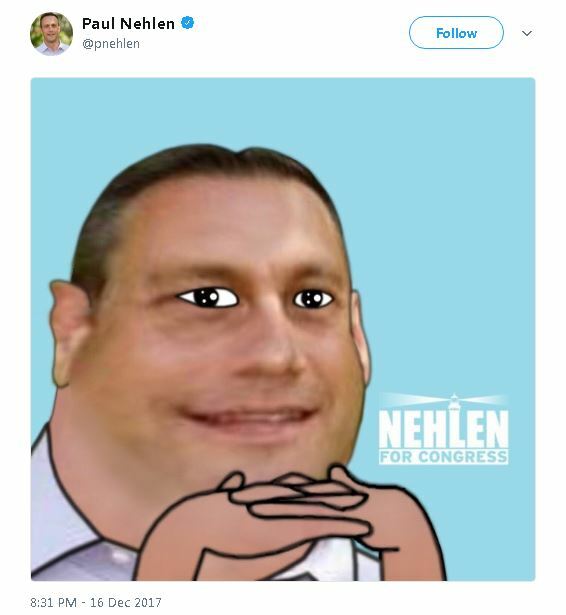 Even if Nehlen is unsuccessful, he still has potential to wreak havoc in the Wisconsin primaries and drag his fellow candidates one step closer toward the extreme Right. 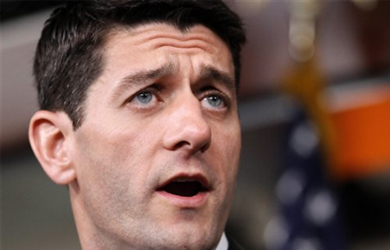 Paul Ryan Endorses Donald Trump Because Why Not?